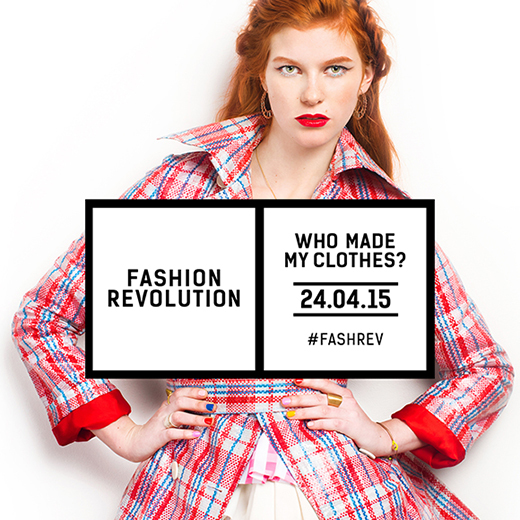 April 23, 2015 - Comments Off on Fashion Revolution: Who Made Your Clothes? We've come a long way when it comes to making transparency a priority in the fashion industry, whether that's focusing on ethical designs or dressing customers in sustainable materials. That being said, there's still a lot to be done in the journey to knowing exactly how clothes are made. Two years ago today, the Rana Plaza factory complex in Dhaka, Bangladesh collapsed, resulting in 1,133 people killed and over 2,500 injuries. What does this have to do with ethical fashion? Everything. The complex's structure was built to maintain shops and offices—not factory spaces. In addition to the original building, four more floors had been added without a permit to accommodate more production. The added manufacturing-related stress resulted in cracks throughout the building's framework, of which employers in the building were warned. The next day, the structural cracks caused the building the collapse. It's unsafe work environments like this that have plagued the fashion industry for centuries. Since the accident, April 24th has been deemed Fashion Revolution Day—24 hours dedicated to keeping brands honest about their manufacturing processes. \There's nothing worse than slipping into your favorite dress and realizing there's a stain front-and-center, taking away from that head-turning look you were going for ten seconds earlier. Maybe we just like to be the bearer of good news, but we've got a few tips for that predicament. While it's always better to catch a stain as it happens or soon after, there are still things you can do once it's had more time to set. 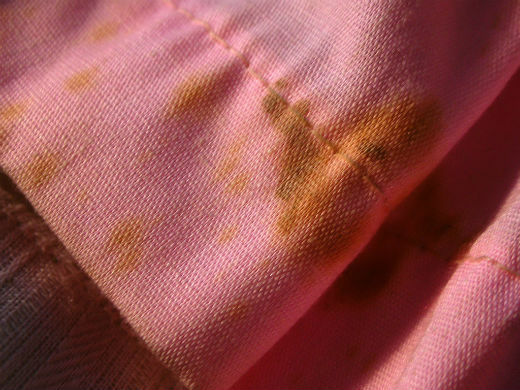 Nicole shares some of her tips for saving your clothes before a stain totally sets in. "This is an essential thing you have to do: Treat it immediately. I think this is where a lot of people fall short. If you're at the dinner table and you just don't feel like dealing with it until later—you have to remove it as soon as you possibly can. You may not be able to get everything out, but if you can lift off some of the particles, do it. Run to the bathroom and use cold water and detergent if you can—hand soap or body wash will work, too, in a pinch. The longer it sits, the more it penetrates the fibers in the textile and the less likely you can get rid of it later. You may not want a big water spot on your clothes, but ultimately if you care about the longevity of the piece, it's an easy sacrifice. That's something my mom taught me from a young age."